Back in June 2010, Gus was diagnosed with “Icky Teeth” and had to go in for an extraction or four. This gave an opportunity to give him a haircut as well as to drain the old bank account. If you look closely you can see the “Fun Fact” that cat skin color follows the fur color – or vice versa. I modified the standard lion cut to not shave his tail bald aside from the tip. That’s a bit too cutesy, plus Gus’ tail is a fine feature. I got all sorts of advice about little bits of soft food and blah blah but as soon as he got home Gus went right to the food bowl and pitched in. He ate the wet food too. He’s a jittery cat by nature, and this enhances his normal fear of the vet office. I don’t think he eats or drinks much when there, if any, and always seems to be very happy to be back home. The painkillers seem to be doing the job, plus its very resistant to chewing on, so no cone seems to be required. Gus quickly seems to be his normal self, or even a little more active than when he had the bad teeth. 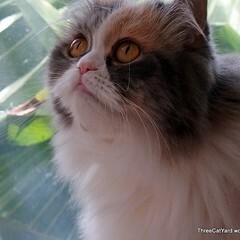 This entry was posted in Cats, Gustavus Adolphus and tagged Cats. Bookmark the permalink. Several kitties we’ve encountered across the Cat Blogosphere have had all their teeths pulled, and they all seemed to feel better afterwords. Well he’s not quite at 100 percent gone – he lost a few of the itty bittys in front young and maybe 6 of the back teeth. He still has the big four, but not a lot further back. But apparenty they don’t really chew dry food all that much, because he still eats that without apparent issues. But from my own experience persistent tooth pain can be a big drag, and getting rid of it a relief. Poor Gus! And how humiliating to be shaved, I’d bite at them too. Since its been a year, does he have any teeth left? He still has the big 4, and quite a few of the itty bitty front teeth. The ones in the back are pretty thin on the ground, but so far they haven’t wanted to take more this year (2012). He actually is not to hostile to being bathed or shaved. He just objects to being shoved around I have given him some trims myself, although I leave more than the lion cut does. They actually don’t mind being hairless, once the process is all done. 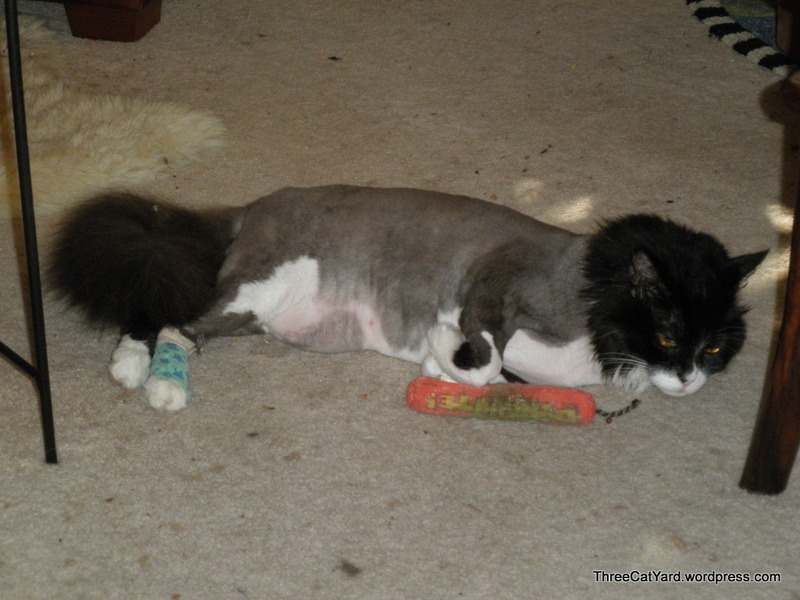 If your cat has mats, the shave can be a relief to you both..